Sit N Cycle Reviews: Can You Get In Shape Without Effort? | Does it Work? Sit N Cycle Reviews: Can You Get In Shape Without Effort? Most people love the idea of working out in the comfort of their home. The Sit N Cycle promises to get you in shape while you're watching your favorite show. But is it just hype? Find out what we discovered and whether it will help you lose those pounds. Did the Sit N Cycle get you in shape? Sit N Cycle is a new kind of stationary bike “As Seen On TV” that you can use at home. 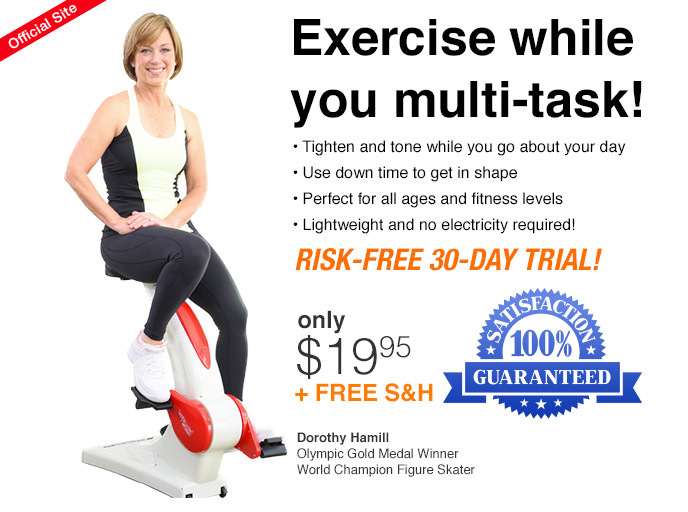 This Chair Exerciser was invented by Smooth Fitness & Health. This company claims that their equipment will make it easy to fit-in a workout at home. You can be reading a book, or watching a movie while performing core or lower back exercises. That sounds really practical since most of us are way too busy to hit the gym. The makers of the bike have hired the Olympic Gold Medal winner Dorothy Hamill to vouch for them. Sounds fancy, but does it work? Who is Smooth Fitness & Health? The Doesitwork lab spent the last week researching the Smooth Fitness & Health Company and their product. They seem to have a web only selling point. The Sitting Bike was Advertised on TV, but can only be ordered on-line. Unfortunately the company is not a part of the Better Business Bureau (BBB). If you haven’t heard of them, they alert you to complaints against companies in your area. For all other complaints and words of praise regarding this Fitness Equipment you can rely on the diligent team of Doesitwork. We decided to dig deeper and really find out what people are saying about Sit N Cycle. Sounds promising, but does it work? Will you get value for your money or is this just another scam? Read this article and get all the info. So this company promises you’ll be able to work out in the comfort of your home. It claims you will get in the best shape of your life. 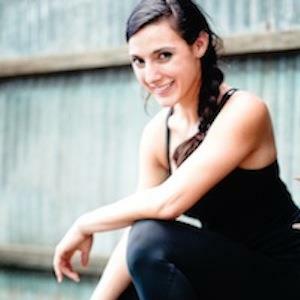 The bike will get you working those core and lower back muscles while casually watching TV. All this sounds great, but does it work in real life? Does this product fulfill all the promises it makes? Our team set out on a week-long research to find out if this bike will work for you. Find out what we discovered when reviewing it. How does Sit N Cycle work? If you’ve been a couch potato for a while, a stationary fitness bike should get you moving. You should be able to use it in the comfort of your home, while you perform another activity. It works with 8 Levels of Resistance, ranging from beginner to workout. Expect your beginner efforts to be rough if you haven’t worked out at all. This bike was made for busy individuals that want to stay healthy and keep in shape. It is especially focused on people over 40 promising to be easier on their lower back and knees. Just make sure you understand ordering this product does not reduce stress, you actually need to use it. Working out daily for 20 minutes can reduce stress, get your blood flowing and increase your mood. Sit N Cycle has got No Handle Bars! This makes you sit up, and hold your back straight while you work out. This way you strengthen your core, burn calories and lose weight! It features a saddle shaped seat. This type of seat helps maintain the curvature of the spine naturally. It also relaxes your back muscles and supports the upper body. This aerobic exercise tool was made of heavy steel and mold plastic. Be careful though, do not sit on the bike if you are over 300lbs. It will break. This bike weighs 34 pounds and comes with wheels and a promise that you can carry it or move it around the house. Props for the seniors that will be able to “easily” pick it up! It is easy to assemble it though. All the parts come labeled with pictures and instructions. You can order it thru their official web-site or with Amazon. If you opt for their website, the company offers you to try the product first by paying a nominal fee. The makers of Sit N Cycle offer a 30 day in-home trial. 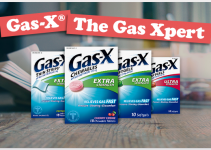 You pay initial $19.95 and 6 additional monthly payments of $39.99 with free shipping. This amounts to $260. You can get your money back if you return it within 30 days. Just make sure you pack it up the same way it was shipped. Keep the original boxes. All you have to do is call (855) 663-5643 and ask for a return authorization. The prices on Amazon go in the range of $171-$199. If you like the bike and decide to keep it, mind the limited warranty. You get 90 days labor, plastics and upholstery, 1 year parts. How many calories can you burn on the Sit N Cycle? It promises to burn as many as 500 calories in 1 hour. However, you might want to consider the following aspect we came across. “Like any kind of exercise, the calories burned are going to vary based on your size and how much effort it takes for you to do the task.”If you’re concerned about the numbers, you could get a heart rate monitor (like the polar chest strap). That should give you a better idea than anything the machine will spit out. Alternatively, consider how active you are while cycling and how long/frequently you exercise. Enter this into a TDEE calculator to get a sense of your daily calories. What is the weight limit? This bike will accommodate up to 300 pounds. Pretty standard for commercial-grade quality. Do I have to assemble it myself? You will need to assemble it yourself. The instructions are straightforward and easy to use. You should be able to put it together in less than 10 minutes. All the necessary tools are included. Does it work with electricity? Sit N Cycle does not require electricity to work. This feature makes it very convenient if you need to move it outdoors. Where can i buy the Sit N Cycle bike? You can buy it on Amazon or directly on the manufacturer’s Sit N Cycle website. If you go to the manufacturers website, they offer a special trial price. Alternatives to Sit N Cycle? If you like to work out at home, you’ll be pleased to know that there are a few popular options on the market. For working out abs, you might be interested in the Wonder Core machine. If you’re feeling more adventurous, why not join a virtual gym? Have a read of our Daily Burn review and Peloton Cycle article to see what this is all about. For something more passive, electro stimulation might be worthy. If you’re interested, see our Slendertone review for more information. It is convenient. No need for preparing clothes and shoes for the gym. Simply Sit and Pedal away in the comfort of your home. You can also take it outdoors, in the garden. Endorphin is released while working out. A.K.A the “happy” hormone. This benefit is more connected to the miracle of actually working out. Strengthening your core strengthens your spirit too. Poor performance. It’s such a shame that this fitness equipment does so poorly when it comes to performance. Wobbly bike. This is a part of the core exercise, but the lack of handles makes it a safety hazard for most people. Loose pedals. A very often problem indeed. People report the pedal getting loose all the time. Dangerous! Loose and uncomfortable seat. This right here is the deal breaker for most people. Not being able to sit comfortably pisses people off. We couldn’t find many positive reviews regarding this bike. There seems to be some people that report positive experiences. Even they start having issues after using the bike for a month. Most of the negative reviews had to do with the bike being wobbly. This is supposed to be a part of exercising your core, but it’s not done right. If you can’t balance well, you’re not safe to use this bike. Also not having handle bars can be right-out dangerous. Another huge issue that caused many complaints had to do with defective and uncomfortable parts of the bike. The makers of this product redesigned the bike and made the seat larger. That didn’t seem to solve the problem at all. A lot of people had high hopes for a product promoted by an Olympic medalist. Unfortunately most of them got disappointed. Does Sit N Cycle work? Like we mentioned earlier we really wanted this bike to work. It is an amazing idea. As a team of busy researchers we fully appreciate being able to work out in front of the lap-top. However the manufacturers will have to go back to the drawing board if they wish to grow. We ask: “What is the point in getting a fitness equipment that will give you hip-area pain?” That is highly unacceptable. Also the price point of $200 is incredibly high for a product that delivers such complaints. Our team’s verdict for Sit N Cycle is: Cycle your money away towards a better product. If you have used this bike and have a similar or opposite experience, please do share it with us! 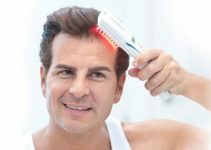 Hairmax Laser Comb Reviews: Does It Work For Receding Hairline? 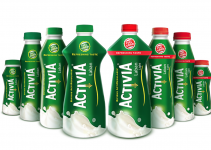 Does Activia Work For IBS, Diarrhea, Constipation Or Bloating?